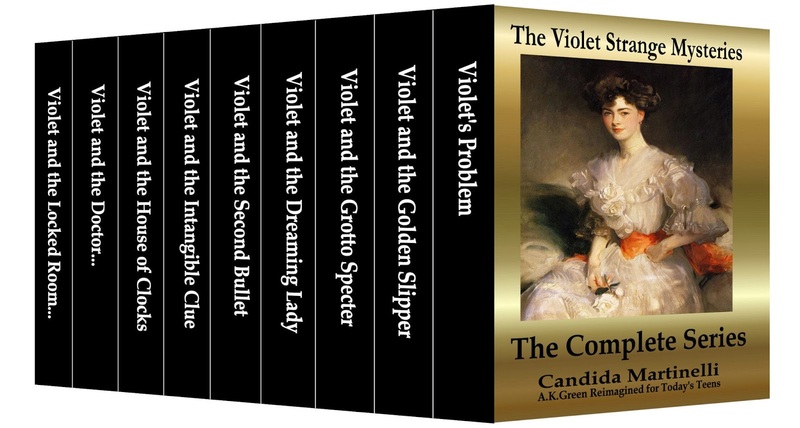 The Violet Strange Mysteries are nine detective stories for tweens, teeens and adults, each story a major case for Violet Strange, a debutante and secret high-society detective, living and working in New York City in 1899, The Gilded-Age. The protagonist is Violet Strange. Violet is seventeen years old when the first book begins, in March of the year 1899, and Violet is set to debut into New York City's high-society. The nine books in the series follow Violet's detecting career and life through the rest of the year, ending on New Year's Day 1900. Violet Strange, a Gilded Age debutante, searches for her disgraced sister, risking losing everything, in the hope of saving her sister from a life of poverty and despair. Why was her sister disgraced and disowned by their father? She married an Italian immigrant. That was all it took back then! The first book in the series is offered at a special low price of .99 cents, a $2.00 discount. There is a short flashback to Violet's childhood at the beginning of the first book in the series. There we see Violet as a child in March of the year 1889, when her beautiful older sister, Theresa Strange, is set to debut into New York City's high-society. The events that take place on that fateful day will change the lives of all three Strange children forever. Darling adventures! -- This is a wonderful beginning to a charming mystery series. It's set in a time period that doesn't get covered too much, The Gilded Age, a little later than the Regency but a time when women were still hedged about with stringent societal expectations. Tiny Violet Strange defies convention to find her missing sister and shows extraordinary perseverance in the face of multiple setbacks. Like all good mysteries, this one ends well, but not for long as Violet's just beginning on her detective career! A scent of Violet. -- Delightful is the best way to describe this book. Written in a simple and precise voice it starts out slowly then steadily builds, and I found myself getting sucked into little Violet's life and struggles. Lively glimpse into the lives of young ladies of an earlier era -- This first book in the series gives a seemingly authentic view into historical New York. Promoted as a young adult series, the story was entertaining to this not-so-young adult, as well. Written in the present tense, with descriptions similar to stage directions, it is easy for the reader to picture the action and atmosphere as spunky, diminutive Violet goes about her many adventures, pushing the boundaries of her social class. I can easily imagine this series becoming a favorite with a whole generation of readers. Pleased to meet you, Violet Strange -- This story is set in a very charming time period of the Gilded Age in New York. Debutante Violet Strange has a problem, her father has disowned her sister for marrying the man she loved. Ten years later, Violet decides to track down sister Theresa, only problem is Theresa does not want to be found. A beguiling glimpse into the world of the very wealthy as well as the very poor, I have to admit I am a fan and will be reading more. The Violet Strange Mysteries are available as individual paperback books and as Kindle e-books via Amazon.com. The complete e-book bundle is available for $8.99, offering a savings of nearly $16.00. The stories are based on A.K. Green's 1914 short stories, but Candida Martinelli has completely re-imagined and re-written the stories for tweens, teens and adults today. The original stories were less fleshed-out, and were written in stilted, Victorian English. 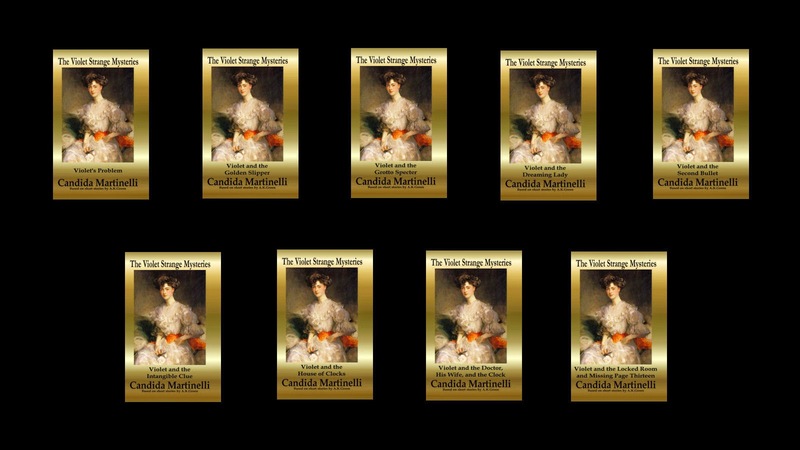 Candida Martinelli's series of tween length novels, or adult novellas, is written in simple, clear prose that is accessible to all readers, young and old. 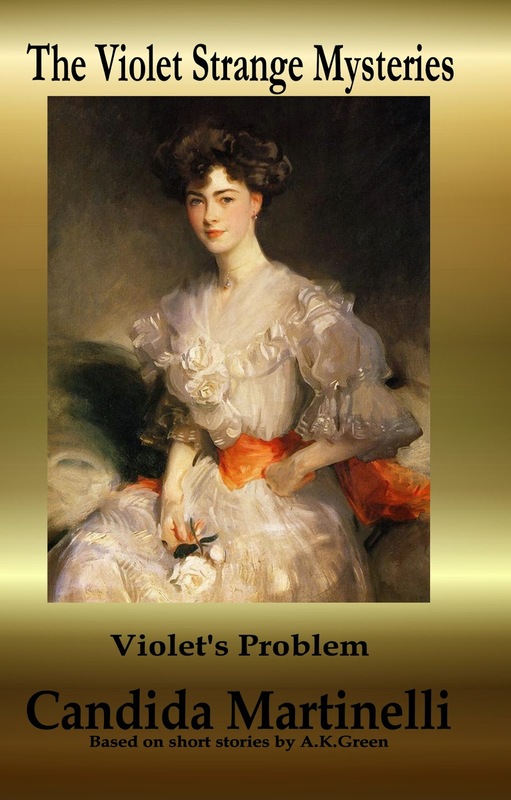 The nine books in the series are about the highlights of Violet's detecting career, but it is not only Violet's life-experience that grows during the course of her work. Violet's heart grows too, to encompass friends she never imagined she would have befriended, and to discover the love of her life in a man she could never have imagined would return that love.